In 2017, any graphics card we had was a best-selling GPU. Seriously, we couldn’t stock the warehouses fast enough for business customers. Cryptocurrency mining rigs, which might employ two or four or six graphics cards each, drove unprecedented demand for high-end VGAs. The increasing value of GPU-hashed digital currencies made Nvidia GTX 1070, GTX 1080, and GTX 1080ti hot items, as well as AMD Radeon RX580 graphics processors. The digital gold rush took everyone by surprise—AMD and Nvidia included. Bear in mind that GPU manufacturers need roughly a month to six weeks of lead to time for increasing normal fabrication runs. When Etherium’s dollar value blew up this summer, it triggered a run on supply that took time to replenish. In years past, business customers most often purchased graphics cards designed for running CAD and video editing programs. We saw various flavors of Nvidia Quadro and AMD FirePro top year-end lists as recently as 2016. This year, Quadro and FirePro are not even in the top 20. New cards that hit the market in the wake of the boom didn’t impact the mining scene much. The latest cards with Nvidia GTX 1070ti and AMD Vega GPUs offer a slight performance boost, but not enough to sway the market when less expensive GTX 1070 and AMD Polaris and RX570 are worthy cards for mining rigs. When it comes to pure hash rate, GeForce GTX 1080ti is the undisputed heavyweight champion. However, as benchmarking reveals, you can attain a nice efficient bore by overclocking the RAM on a GeForce GTX 1060 graphics card. So how did the sales shake out? Here’s the leading graphics cards for 2017 from 1-10. 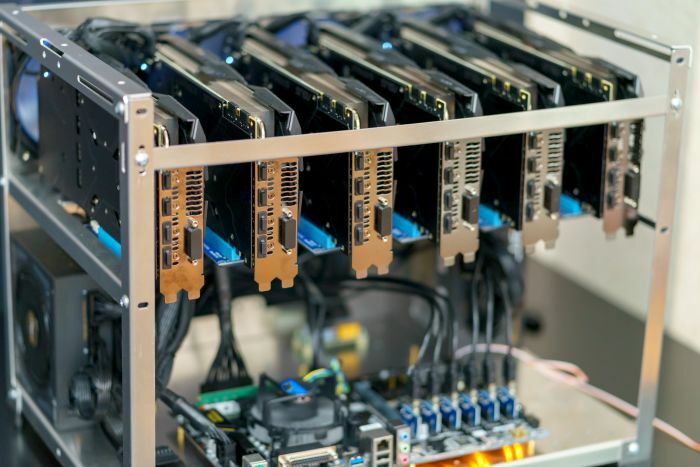 Cryptocurrency mining rigs, which might employ two or four or six graphics cards each, drove unprecedented demand for high-end VGAs. The increasing value of GPU-hashed digital currencies made Nvidia GTX 1070, GTX 1080, and GTX 1080ti hot items, as well as AMD Radeon RX580 graphics processors.